Apr 08, 2019 Rebecca H.
I had a last minute need with my brakes. Craig was wonderful. He fit me in immediately, made the check in incredibly easy and explained what my car needed and why. I was incredibly impressed and will be bringing all my vehicles back to Craig. 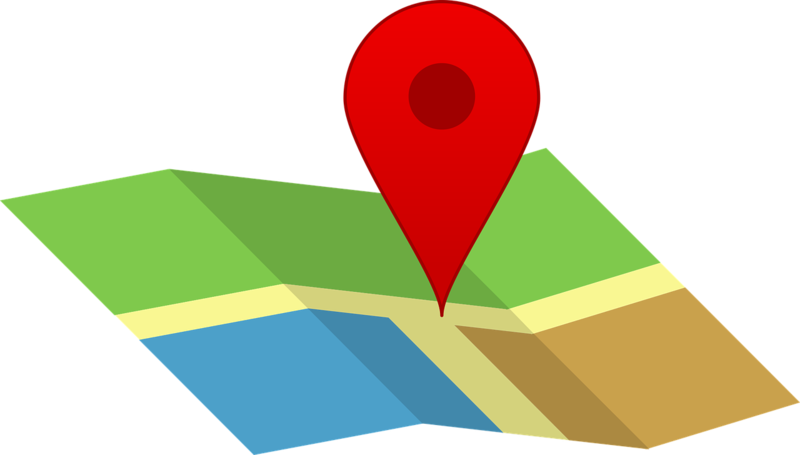 Mar 06, 2019 Roger B.
I have been using this location for several years due to the quality of work that is performed by the Technicians that have serviced my vehicle. The most recent service was last month with many things needing to be taken care of such as struts, alignment and more....I have the utmost confidence in Brandon (Owner) that when he says something needs to be attended to that is does. If I ask if certain belts need to be replaced and he says no need to at this time, I trust his word. It is not often these days when you can go to a shop for auto repairs and know that the work will be done right the first time and be fairly priced.I highly recommend the Tuffy Auto Service Shop in Yorkville when you need service for your vehicle...Ask for Brandon and he will not let you down. Dec 22, 2018 Theresa D.
I really like going here. They are very friendly and do a great job working on my vehicle. They let you know what is wrong with your car and just geat people there that work on the vehicles. I can always call and ask a question about my car and they will work till they can get it fixed if needed. Aug 25, 2018 mulan D.
Jun 08, 2018 Debbie P.
Good service and Professional Staff - Slow turnaround time - took an hour and a half for a oil change that I had scheduled. Mar 07, 2018 Sheena W.
Feb 10, 2018 Christopher L.
I stopped by first thing in the morning to have a slow leak checked out. They were able to get me in within a half hour which was well appreciated. They found a nail in the tire and repaired it in 10 minutes. Great service and friendly staff. Jan 25, 2018 art T.
The staff are friendly and made recommendation on what to do without pressure. Their primary concern is my safety. I would recommend this shop to my family and friends. Jan 06, 2018 Mickael M.
I took my car in for a loose belt & leaking trans fluid. Customer service was excellent. They showed me the problem, gave me fair quote and the job was completed on time. I will not go to another shop. I'm completely satisfied with the service done to my car. Oct 03, 2017 Joe G.
I have brought both my cars here. 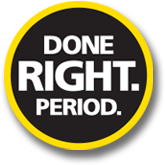 very good service, my auto tech Mike G. was very informative and knowledgeable. No complaints. Aug 04, 2017 Amanda L.
Id like to start off by saying you get what you pay for here, plus some! I walked in knowing most my issues with my car. I have an oldie.. 93 Honda Accord. I was greeted with smiling happy faces. Amin, the new manager for Tuffy's helped me from start to finish. I started off by telling him the long list of issues i had. First and most importantly i had starting issues that generally dont happen every time i tried to start it. #2 My muffler was so loud im sure ppl a mile away could hear me lol. #3 I was told by a friend that all my tie rods and ball joints were bad.. #4 as do most old cars i had a few oil leaks.. Amin smiled and said no worries we can address everything. He truly took my anxiety about it all right away. They were very busy that day and let me know right up front they would do all they could to look that day but if not it would be first thing monday. Instantly i panicked because of course i need a car to get to work.. Amin imedatly offered one of there loaner cars free of charge. Yay! And that ended up being the case. So for a whole weekend i got to play around in a cute little Hyundai.. Anyway by mid Monday Amin called with the dioagnostis.. I had a main relay issue and thats why it wouldn't start at times.. They had to try on and off all day just to get it to not start, but they were determined. #2 my muffler itself was in great shape it was just the flex pipe.. #3 my tie rods and ball joints were fine it was both my front control arms that were bad.. If i would have know that i would have came so much sooner as that so darn dangerous.. #4 my leaks were no where near as bad as i thought. They were coming from the valve cover gasket and the distributor seal. Even though i knew i had alot of issues i was still a litte overwhelmed naturally. From there i gave my husband the phone and let the guys do there shop talk and negotiations. I got my car back that Wednsday and I honestly feel im driving a whole diffrent car. I even got a free oil change because of a coupon i had. To Amin and all the guys at Tuffy's i thank you from the bottom of my heart. You are a beautiful honest group of people and i will never go anywhere else for my car needs. Thank You!. May 22, 2017 Raelee J.
Aug 28, 2014 Amy B.
I'd have to say I am beyond pleased with this location. I came in for a standard oil change and they found out I had other major issues and actually showed them to me. The staff was so friendly and respectful that when I needed to repair my car (which they were the cheapest in the area out of 10 repair shops!). I had no way of getting home with my two children. They actually took me and my kids home, picked us up when it was done. I dont think I know of any other place that would do something like that. I cannot express how pleasant it was to go to a repair shop and not be pushed or tried to be sold for more. I highly recommend this location, especially Owen and Tony...very nice guys and I would trust with my future car repairs hands down!! Thank you guys SO much! I'm sure I'll see you soon! Aug 28, 2014 Angel K.
The WONDERFUL crew helped above and beyond care. They explained EVERYTHING before hand to me,respected me and even drove me home! They fixed everything and then even picked me up too!! Can't say enough great thing's about the TEAM at Tuffy! Will go there forever! Thanks guy's!! Tuffy Tire & Auto Service Center Oswego, Your Complete Auto Repair & Tire Specialist! Tuffy Oswego has established itself as a pillar within the Oswego, IL community thanks to our unrelenting passion for auto repair done right. Our hard-working team of certified technicians are the best in the business and nothing pleases them more than seeing yet another satisfied customer walk through the door. No matter the problem, Tuffy Oswego is the answer! We provide our customers with an abundance of automotive services that include; auto repair, brakes, exhaust, transmission, radiator, suspension, electrical, engine, fuel system and more! For a more extensive inventory of our services please click the service list tab located in the main menu above. Tuffy Oswego is also well known for being the Oswego community's number one certified tire dealer. Whether you are shopping for new tires or simply need a flat tire repaired, Tuffy is your destination! Our customers can choose from an extensive selection of new tires and no one beats our technicians when it comes to tire repair services. At Tuffy, we pride ourselves on the affordability and punctuality our customers have come to expect. All of our rates are fair and honest, and we operate with efficiency to ensure that you are back on the road as soon as possible! Tuffy loves to reward our customers, so it's natural that our website is full of savings opportunities. For 365 days a year customers can count on finding great quarterly specials on our home page. Furthermore, every month we send out exclusive eSpecial offers to all of our email subscribers! Looking for a Quick Quote for your auto service needs? Simply fill out the Quick Quote form and one of our technicians will get back to you within 24 hours. Our goal is to be the best auto repair service center and tire dealer in the Oswego area.